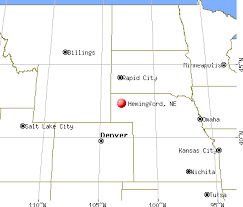 Hemingford is edging closer to having a community solar project that generates electricity for the community, adding certainty and stability to utility rates for village residents, Doug Dyskstra of GenPro Energy Solutions said Monday . . . So far, the Nebraska communities [GenPro] has served at various stages have been Central City, Aurora, Fremont, Grand Island, Gothernburg, Venango, and Scottsbluff. 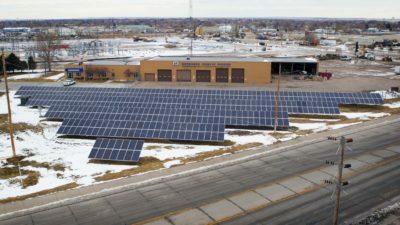 “We’ve seen this push to community solar across the country, and especially across Nebraska,” Dyskstra said. Mark Zuckerberg’s company is looking to power its global operations with renewables. 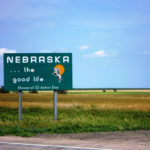 In March, Facebook announced a deal with Enel to source some of the power from the 320MW Rattlesnake Creek site in Nebraska. It also has power deals in Texas and Iowa, as well as some in Europe. This entry was posted in Community-Scale Solar, Nebraska / Midwest News and tagged Doug Dyskstra of GenPro Energy Solutions, Facebook, GenPro Energy Solutions, Hemingford Community Solar Project, Rattlesnake Creek Wind Farm, Spike Jordan, Stephen G. Kaniewski - Valmont President and CEO, Valmont, Village of Hemingford on August 3, 2018 by Helen Deffenbacher. WAKEFIELD, Neb. 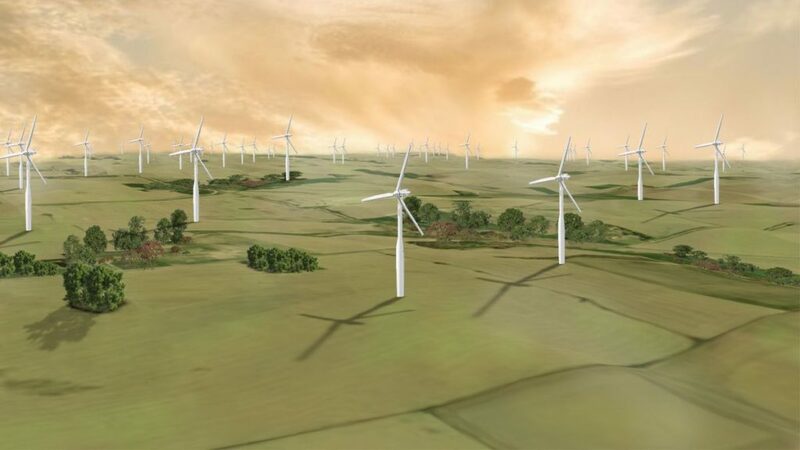 — A new Facebook supported wind farm being built in Dixon County should give local residents a few million reasons to like it. 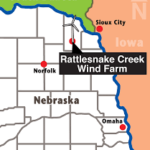 The upcoming Rattlesnake Creek Wind Project will distribute $80 million in property tax and landowners payments over the first 20 years of its existence, according to officials at Enel Green Power North America Inc. 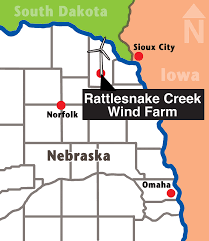 Image: A rending of the Rattlesnake Creek Wind Project. The $430 million wind farm is being built in rural Dixon County, Nebraska. 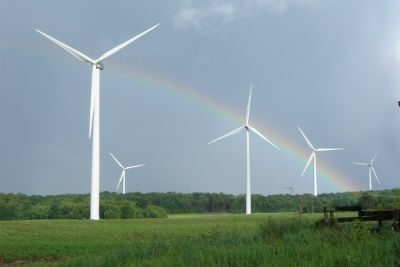 Upon completion, it will be the second largest wind farm in Nebraska. The 400MW Grande Prairie Wind Farm near O’Neill in Holt County is currently the largest wind energy development in the state. After more than a year of negotiations, input and intense lobbying from solar advocates, the Bay State is requesting bids to build the first 100 MW of new solar projects under the state’s new SMART program. 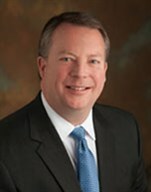 Solar remains largely unscathed as House tax bill passes, PV Magazine. 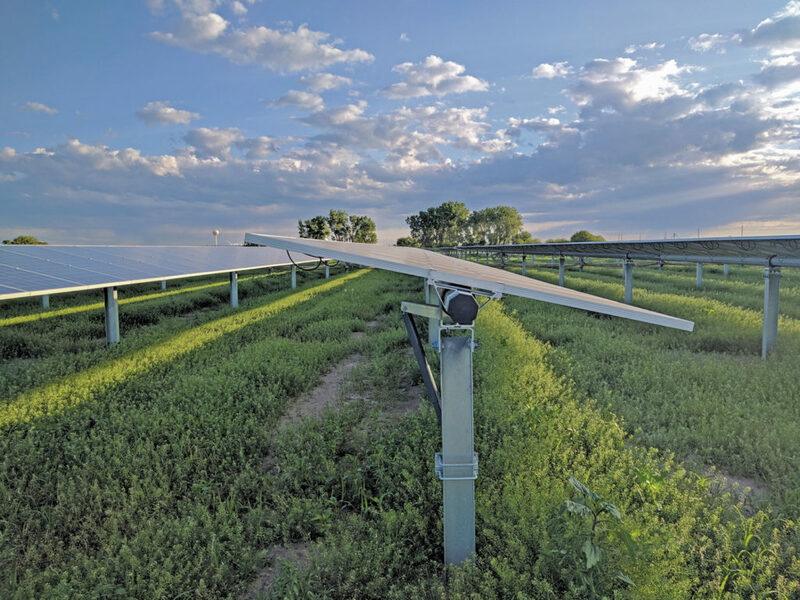 Though there are modifications to the hard-won investment tax credit step-down provisions, it appears the bill leaves the solar industry largely alone. The financing provider is joining at least two other online solar marketplaces, in a new way to sell residential solar. 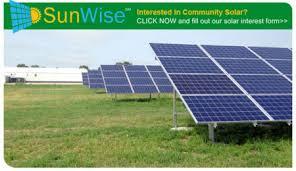 10 Cities Committed to 100 Percent Renewable Energy, U.S. News & World Report. Nearly 50 U.S. cities have pledged to go 100 percent renewable. These are 10 of the most recent. “Self-Forming” Renewable Energy Microgrids For U.S. Army — Puerto Rico Next? Does Customer Choice Aggregation spell the end of the regulated electric utility in California? 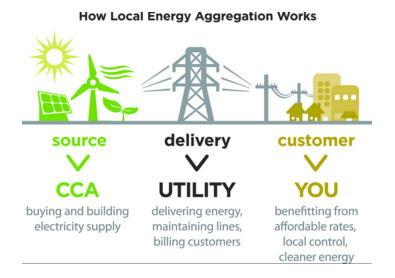 One of the biggest ideas challenging today’s utility business model is the customer choice aggregation (CCA) movement in California. By the end of 2017, a third or more of California’s investor-owned utility (IOU) customers will get electricity from alternative sources and/or providers and there will be 915,000 CCA customers. But that is just the beginning, according to a recent white paper from the California Public Utilities Commission (CPUC). The counties of San Diego (3.3 million) and Los Angles (10.2 million) are about to launch CCAs. This entry was posted in Nebraska / Midwest News, NewsBlog and tagged Customer Choice Aggregation (CCA), Grande Prairie Wind Farm, Nebraska Wind & Solar Conference, Rattlesnake Creek Wind Farm, renewable energy news, wind energy development in Nebraska on November 17, 2017 by Helen Deffenbacher.